Plus, as marinades can be messy to apply, the rubs come with a special “marinade bag” to make the whole process cleaner, easier, quicker. No sticky fingers, no washing hands every five minutes. Just delicious authentic flavour. Simply place the meat or fish in the bag with your chosen Bart® marinade, hold the bag closed and shake gently to spread the ingredients around. For depth of flavour, leave in the fridge for an hour or more before grilling. And, just in case it’s raining, the bag can also be used in the oven for slow cooking, retaining the moisture. As I don't do barbeques, I chose the alternative slow cooking. 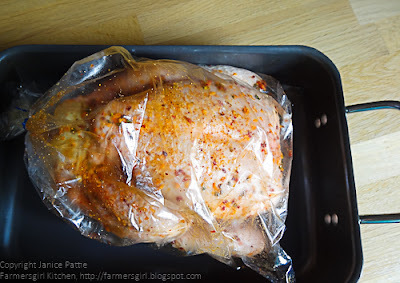 I loved the fact that all you need to do is rub the spice mix on your meat, although I brushed my chicken with olive oil first, the pop it the roasting bag which is provided in the box and leave it to marinade. 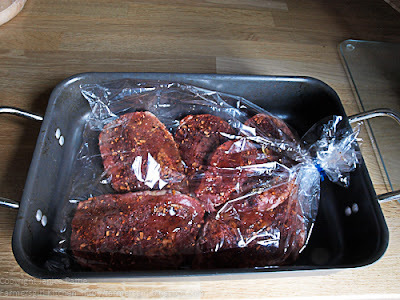 You can then either remove the meat from the bag and barbeque or cook as you would normally roast your meat or you can do what I did, and roast it in the bag. 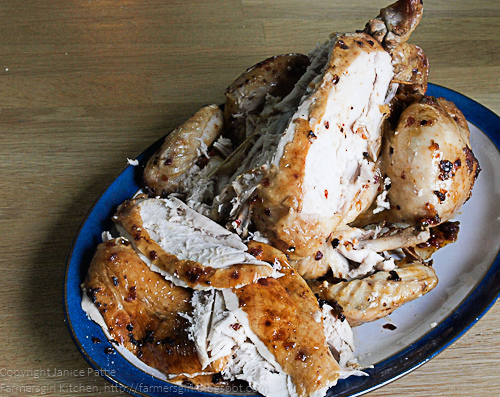 It was so simple, the roasting tin didn't need soaking and scrubbing and I used my Oxo Good Grips Gravy Separator to separate the fat from the juices then turned them into delicious gravy. 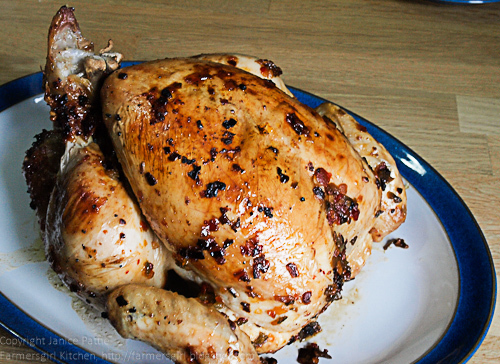 The chicken was cooked with the Lemon and Sweet Pepper Rub and had a lovely light lemony flavour. The roasting bag made sure the meat was kept moist and it was very tender. The left over meat was also really good with salad the next day. 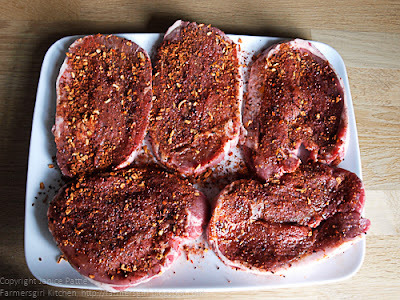 I also tried the Smoky Chipotle Rub on some lamb steaks. I cooked this in the roasting bag after marinading for about two hours, the meat was very tender and although the rub is quite spicy it didn't overwhelm the flavour of the lamb. from July. The rubs are priced at £1.49, there are alos sauces at £2.99 and spice mills at £3.99. 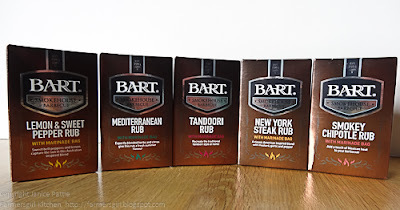 I was provided with the Barbeque Rubs, I was not paid for this review and all opinions are my own. 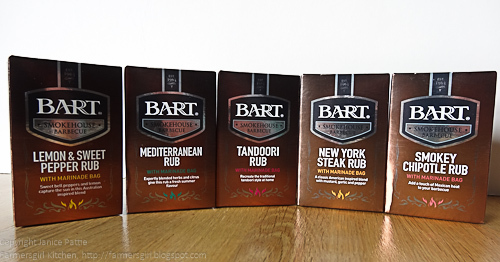 Aw, I doubt that I'm going to be able to source this range of spice rubs here in Australia. Your chicken looks beautiful though! I did buy some smoky chipotle yesterday though, and my spice rack is always full... I might experiment with my own version of this lovely recipe. Thanks Janice!